What and Why? : A trip from East to West across the US and the reasons for the journey | Mike Evans. Me I’m quitting my job and riding my bike from Virginia to California! Straw Man Wow. Sounds amazing. But what are you trying to accomplish with this trip? First, I hope to spend a lot of time in reflection, contemplation, and prayer about the direction of the next stage of my life. Second, I hope to grow in compassion and contentment. I was once described as a “happy go lucky” person, but I’ve lost that over the last twelve years at a very stressful job. Third, I hope to experience the trip for whatever it presents and not load it down with a lot of expectations.That said, I do have two important expectations. I expect the country to beautiful. I expect to meet people that represent kindness, hospitality, and joy as opposed to what our TVs tell us the world is like. Straw Man That’s great and all but what are you going to do when you get back? Me I’m intentionally not thinking about the answer to that question. I don’t want to put any constraints on myself during the trip, but want to be “present” for the journey. Maybe the time I spend in reflection and quietness will give me some perspective. Or, maybe I’ll just have no clue when I get back. Straw Man Wow. More power to you man. That’s awesome. 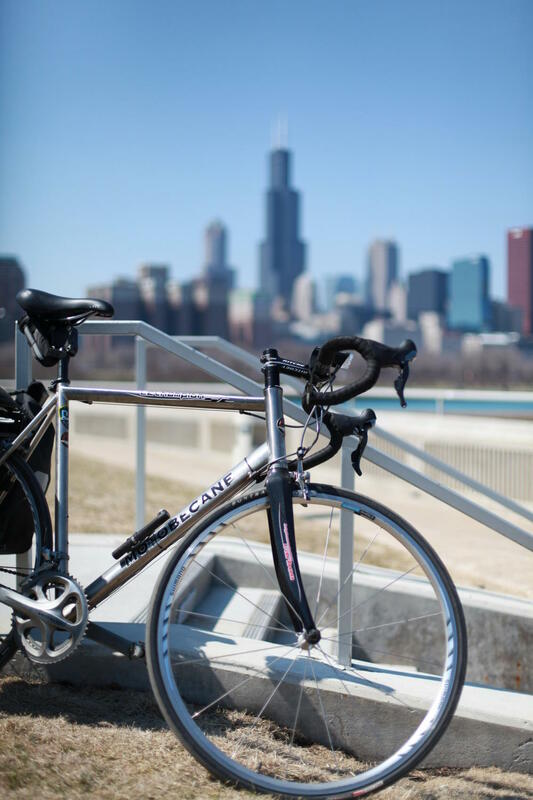 Are you riding on highways the whole time or on bike paths? Me Huh, well Straw, funny you should ask since literally every single one of my friends has assumed that binary choice represents the only two possible options. As it turns out, the ACA has been working for 30 years to create bike friendly routes using secondary and tertiary roads through locales that are explicitly bike friendly. 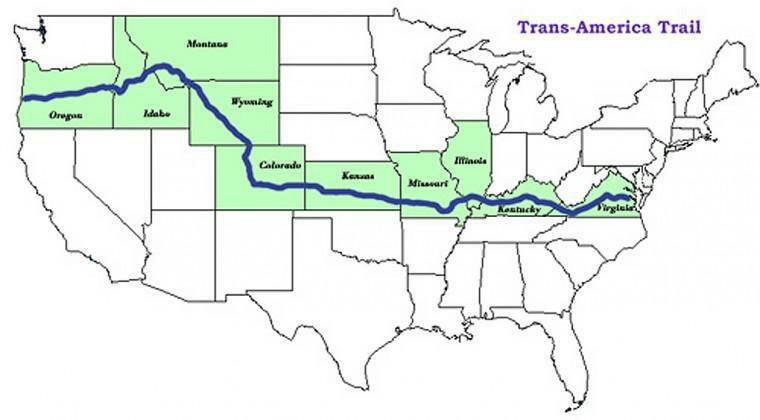 In fact, the route is *much* longer than a straight coast to coast interstate drive would be. Here’s a high level view of the Trans Am Route. Straw But isn’t it windier East to West, won’t that be harder? Me Yes. But only a little. But who cares, nobody ever heard the phrase “Go East young man.” and nobody wants to ride off into the sunrise. More practically, I’d rather hit the great plains before the Rocky mountains. Straw I heard you were riding a recumbent, won’t that be harder? Me I expect it to be a little harder and a lot more plesant. Back, shoulder, and neck pain are things that need to be endured. Whereas, quads that get a little more burn up a mountain is a challenge to be overcome. Besides, I want to see ‘Merica, not the white line on the side of the road. The natural head angle while riding a ‘bent is better for sightseeing. Straw Did you do any special training or preperation for the trip? Me Yep, a few things. First, I’ve gone gear head crazy. More on that later. Included in my “equipment” is a large set of music to play on my Iphone/mini speaker combo as well as 12 books from Audible. Second, I’m brushing up on my photography with an advanced photography class. Hopefully it will pay off with stunning visuals. Hi Mike. Stumbled on this via my friend Troy Henikoff. You write “… the ACA has been working for 30 years to create bike friendly routes …” Actually, the Trans-America Trail was inaugurated in 1976, aka the BikeCentennial. I was part of that riding West to East. 55 days. Camping. It was an incredible trip, even though I was probably too young at the time (20) to really appreciate it fully. I look forward to your entries and re-visiting the places along the way. Also, FYI, I found the Appalachians / Blue Ridge section to be tougher in some ways than the Rockies. Shorter climbs but steeper. As they say in France: bon route et bon courage! True Story, Andrew. I oversimplified the effort that went into the original ride and the history of creating a long lasting touring route. Thanks for the info. Must have been awesome being in that first group in ’76. Good luck! I did the west-to-east trip (largely via BikeCentennial routes) in ’86, with my sister & dad (that’s how he celebrated turning 50). None of us was in fantastic shape, but we hit the Cascades on our third day, and by the time we got over them … we were. I imagine you too will ride yourself into a lean mean cycling machine. P.S. I know your days will be long, but I hope you’re planning to listen to those books when you’re _not_ in motion! Mike – this is amazing. Good on you. It’s worth it to take the time to stop and smell the flowers. Did the reverse route in 1992, with our Rodriguez Tandem. Started in Seattle, with the STP (Seattle To Portland). Then the adventure of a lifetime…dipped our wheels in the Pacific Ocean, and then again in the Atlantic, one month later. -Got married in Williamsburg VA. Might need to retrace, with a Harley?